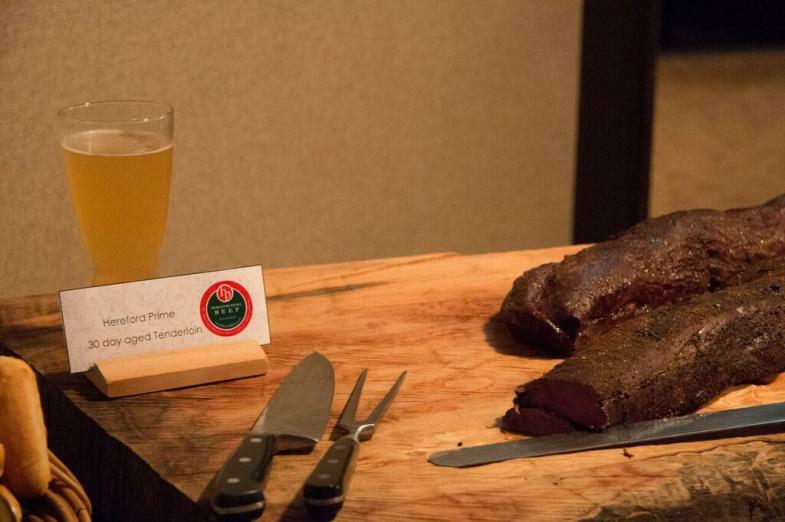 Hereford Prime has continued its successful Paddock to Plate events by hosting the event in Southland recently. The Paddock to Plate event sees Hereford Prime host a chef for a farm visit on a property of one of its regular suppliers. The day culminates with an evening meal at the chef’s restaurant where they showcase their skills with grass fed Hereford Prime beef. The Paddock to Plate event allows the brand to explore the various links in the supply chain of Hereford Prime and also provides the opportunity for key players to get insight into the various steps in the process. 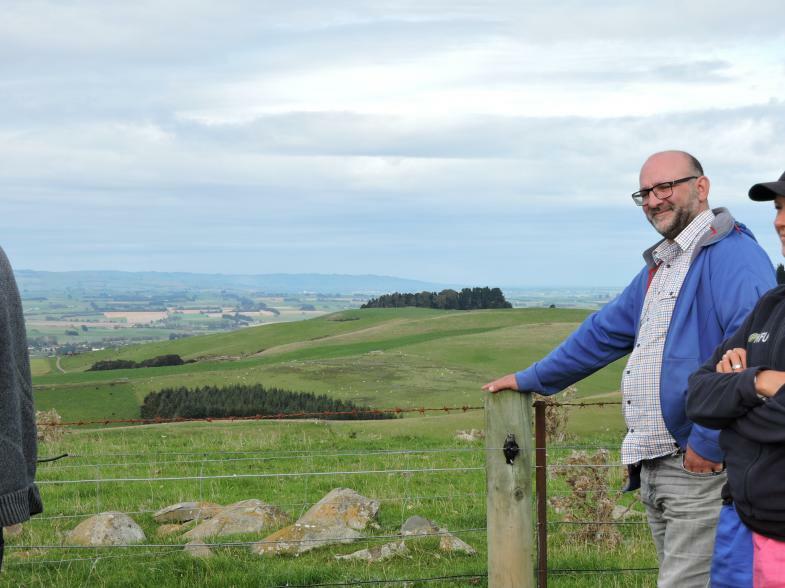 Invercargill’s Ascot Park Hotel executive chef Simon Henry jumped at the chance to visit a farm and has been using Hereford Prime in his restaurant for a number of years. Simon visited the property of Hereford Prime chairman Laurie Paterson and his family who are regular suppliers to Bowmonts and the HP programme. Also joining Simon for the on-farm visit was some of the team from Bowmont Wholesale Meats and HP vice chairman Geof Brown. The farm visit included looking at Hereford Prime heifers which the Paterson family ran through the cattle handling EID equipment. They also looked at cows and bull calves, stud sires and sale bulls as well as sheep and the bulk handler and 6-way weigh draft and sort Racewell system. The weather was stunning and allowed the visitors to look out over Southland from 400 meters after showing them the native bush – they also gained an understanding of the challenges of gorse! Laurie Paterson said it was a great way to help chefs and processors better understand the challenges of farming and how the producer manages the system to produce Hereford Prime cattle. 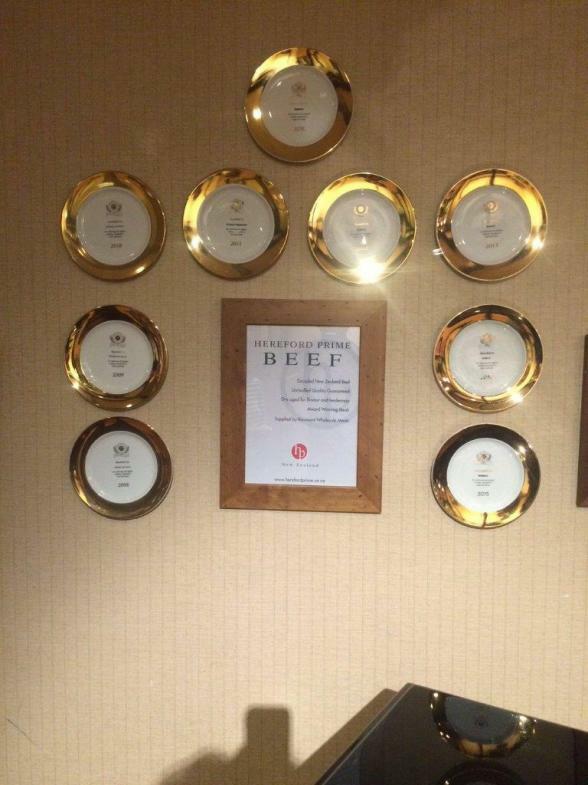 Chef Simon Henry had shown a keenness to get onto a farm of a regular Hereford Prime supplier to see what happens as he is trying to tell more of the product story in his restaurant and is particularly keen on explaining the grass fed beef story to his customers. In the evening it was Simon’s turn to share insights into aspects from his end of the supply chain. The evening was well supported by the Southern Districts Hereford Club and its members with a group of 32 taking part. The club also hosted a Hereford Happy Hour for those attending. During the Happy Hour Simon offered guests the chance to sample two Bowmonts 31-day aged on the bone sous-vide tenderloins – it was a melt in your mouth treat and described as stunning to eat. The Ascot is part of the Invercargill Licensing Trust and Simon told the gathering the Ascot team also handle the catering at Stadium Southland and The Civic Theatre. 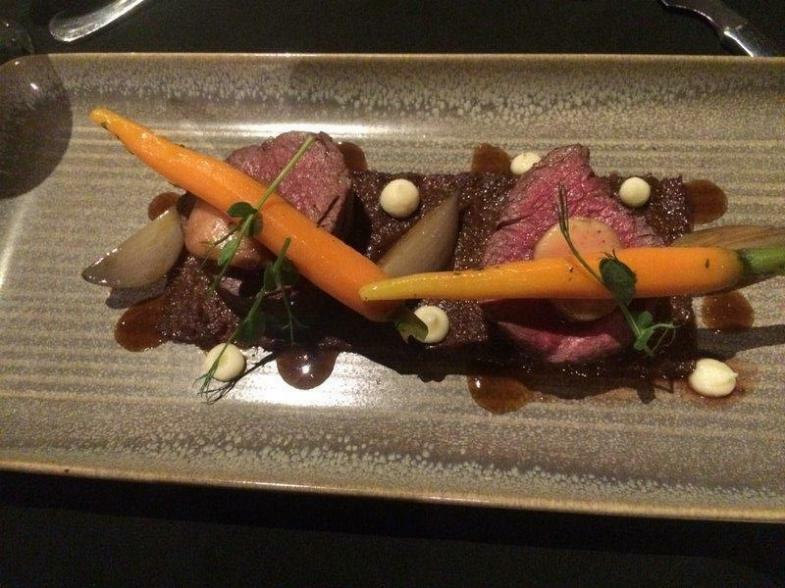 Guests were treated to a subline three course meal including two Hereford Prime dishes. One used Beef Cheeks and Fillet and one Corned Brisket. Laurie reports everyone was blown away by the quality and there were some very happy Hereford breeders to see such fine cuisine produced from their cattle. Guests were also offered the chance to have a look inside the busy kitchens at the Ascot. They have the capacity to present 1200 meals all in a 15 minute period! Simon is a butcher as well as a chef so they develop of a lot of dishes from scratch, as he’s able to use his knowledge of the carcase to do so. 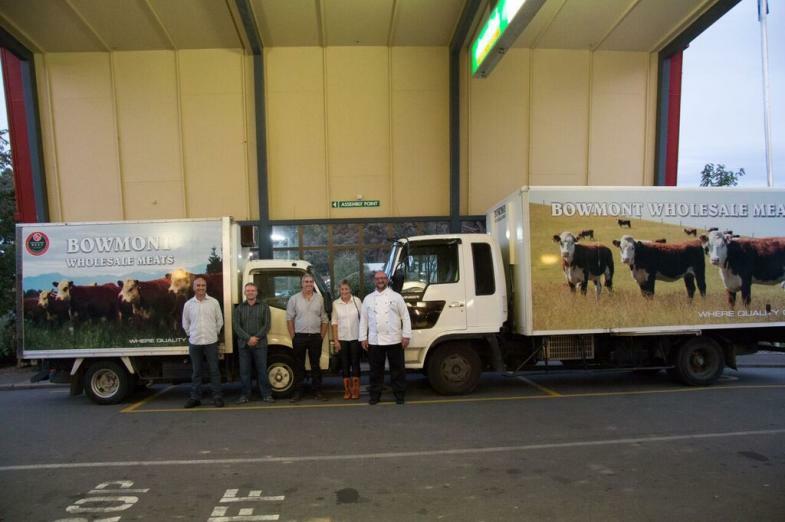 Also showcased at the evening were the two newly sign-written trucks of Bowmont Wholesale Meats. Covered in eye-catching photos of Hereford cattle and the Hereford Prime brand these trucks are sure to generate a lot of interest during their travels on Southland roads. Hereford Prime extends their appreciation to everyone who took part in the Southland Paddock to Plate event and made it possible.